Does your beautiful shower curtain hide an embarrassing secret? If you cringe at the thought of a guest peeking behind the curtain because your shower is stained or chipped, call our bathroom remodelers in Cleveland! An outdated or damaged shower doesn’t only look bad—it can be a health issue as well. Mold and mildew hide in tiny chips or scratches, making it impossible to get the shower totally clean. The good news is that JR Luxury Bath can revamp your tired old shower in as little as one day. 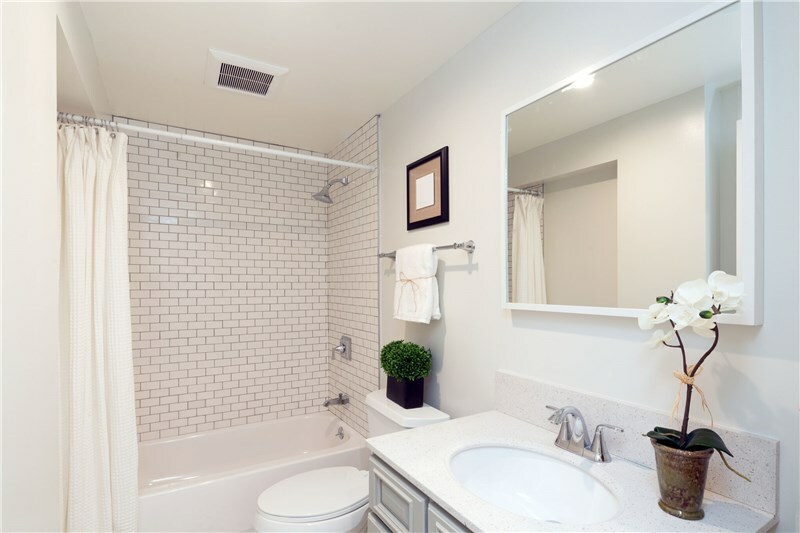 Whether you want to replace a damaged shower or just want a new look, we have many options. Get ready to throw back the curtain and show off your stylish new shower! How do you know which type of shower renovation is best for you? Factors to consider include the size of your space, what you don’t like about your current shower, who will be using it, and more. The experts at JR Luxury Bath can walk you through the features of each type of shower remodel to help you make the best choice. Pro Tip: Affiliations matter. As members of the National Association of the Remodeling Industry, we are held to higher standards of excellence. If you’re ok with the current size and location of your shower, a shower enclosure might be right for you. You can give your bathroom a new look without altering the footprint of the space. Enclosures come in many styles and finishes, so it’s easy to get just the look you want. For bathrooms that just need a little refresh, this is a perfect option. Pro Tip: Cheaper isn’t always better. Using flimsy materials for a shower enclosure will save you a few bucks up front, but you’ll pay for it when the shower needs to be replaced after just a few years. An unused tub is wasted space. Transform the tub into a luxurious shower with a tub-to-shower conversion. The new shower is installed in the footprint of your existing tub, so there is no need for messy demolition. 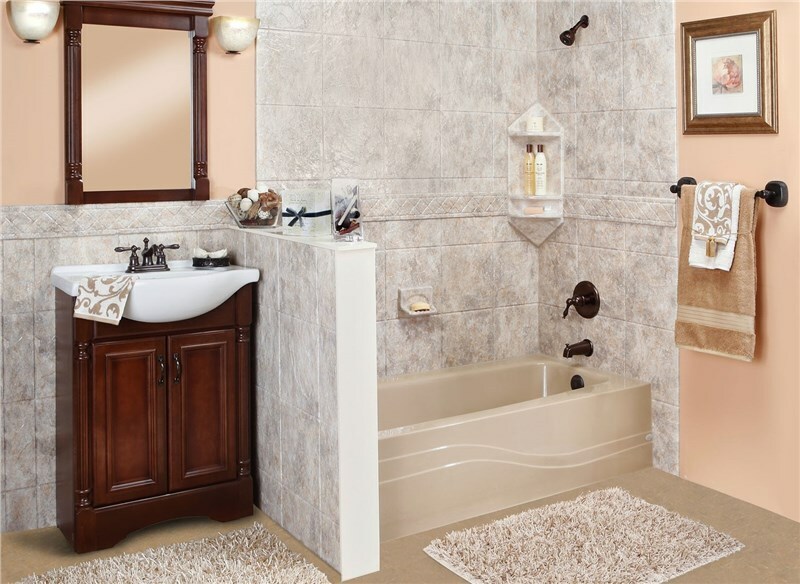 Choose from styles and patterns that will enhance your bathroom’s aesthetic and be easy to clean! Pro Tip: Only work with Cleveland shower remodelers that are licensed and insured. After years of use, grout becomes difficult to keep clean. No matter how much you scrub, it can still look dingy—and no one wants a shower that looks dirty. A shower surround offers an affordable solution. It covers up the dull grout with nonporous acrylic, so you won’t have to spend another Saturday scrubbing! Surrounds are available in many styles, textures, and patterns, so you can choose a simple look or something much more dramatic. Pair a surround with a new shower base for a whole new shower that can be installed in as little as one day! Pro Tip: Choosing well-trained installers is important. A poorly-installed tub or shower can leak and water can pool behind the surround causing expensive problems down the road. 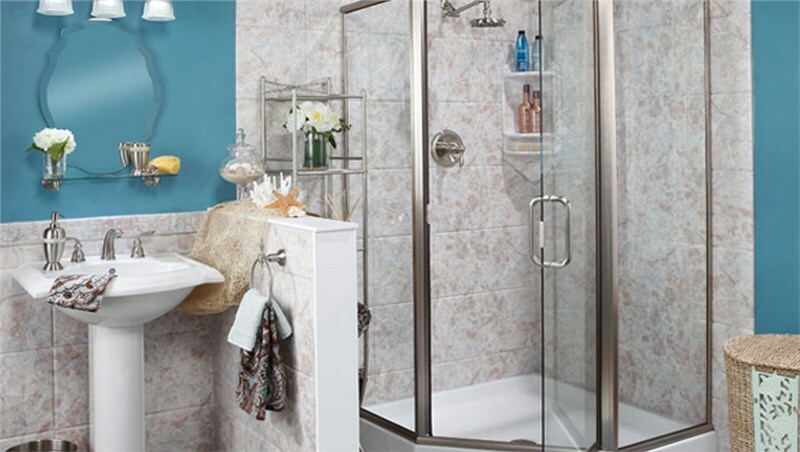 Consider a roll-in shower if you or someone in your home has limited mobility. We have ADA-compliant options that make it easy for those with physical limitations to bathe safely and independently. Whatever type of shower remodel you choose, JR Luxury Bath can complete the work beautifully! Give us a call today to chat with a designer or fill out our online contact form to receive a free, no-obligation estimate.